Unsatisfied with their pay and bonuses, more than one in two employees surveyed by a recruitment agency plan to quit within two years. The intention to leave was even more prevalent among those aged between 18 and 34, this year's Randstad Award survey of 4,500 Singapore employees found. Randstad's Singapore director Michael Smith said the last few years of slow economic growth have meant frozen salaries and reduced bonuses. But as the economy improves, employees are looking for higher pay. "Now that the outlook is more positive and many businesses are in a position to loosen their purse strings, employees are demanding that their hard work is recognised," said Mr Smith. Compensation can come in other forms, he added. These include career development opportunities or days off in lieu. The survey, conducted last December and released yesterday, also found that a lack of work-life balance and an unpleasant work atmosphere were other factors pushing employees to the exit. Still, almost a third of those surveyed said they would choose to stay should they be offered long-term job security and more pay. 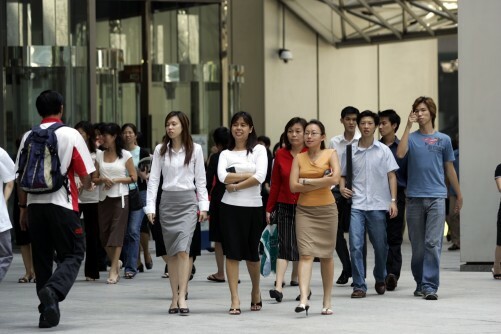 With Singapore's tight labour market and a low unemployment rate of around 2 per cent, it is important for organisations to understand what employees value and what motivates them, said Mr Smith. He added that to retain the best talent and carve out a competitive edge in the marketplace, employers must offer employees a complete package comprising entitlements, work-life balance and career progression. "Above all, it must be a company that people are proud to work for," he said.